Ever fancied breaking with tradition and getting away for Christmas? 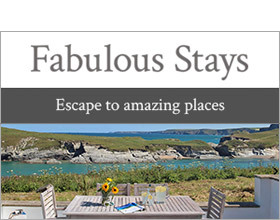 If so, then why not treat yourself to a week in picturesque Devon and experience a Christmas with a difference. Devon is beautiful in December; think snow-dusted country villages, warm welcoming inns decorated with holly, and picture postcard countryside - the perfect winter wonderland. Forgo snoozing on the sofa after Christmas lunch and go for a refreshing stroll – followed by a glass of mulled wine and mince pie by the fire. There are also plenty of festive celebrations and events to be enjoyed - not least the infamous 'Christmas dip' on Christmas morning, when around the county, hundreds of brave souls take the plunge with a swim in the sea! If you're not keen to jump in yourself, the event always attracts many spectators, so you can watch from the warmth of your big winter coat.